There are approximately 11 million store card accounts held by customers in the UK. This figure in itself is not surprising but the fact that one in nine people never actually clear these very high interest cards is. Here are some more facts about UK store cards that may be beneficial to those considering opening a store card account. Although Britain is undergoing a credit crisis, many store cards are being offered to customers without undergoing credit checks. A recent report stated that untrained sales staff are pushing the high interest cards without checking customer credit records. With cash strapped customers spending less, stores are becoming less stringent about checking credit records. Basically, these store cards are being missold to people who cannot afford the high interest rates. Most stores will offer an initial 10% discount on purchases if a store card account is opened. This is the initial enticement but it does hide a hidden debt. Store cards usually come with a very high rate of interest, usually between 25% and 30% APR. The initial 10% will soon be swallowed up in interest charges unless the balance is paid off in full within a set time period. It’s much better to buy purchases on low interest cards than use the store’s own credit cards. Although store cards are not the same as loyalty cards they are designed to bring customers back to the same store. The store cards can only be used within certain stores and customers who use store cards are basically spending more for their purchases due to the interest. Many cash strapped customers are using store cards to purchase goods without giving the interest rates much thought. One or two missed payments and the interest fees and missed payment charges can double the price of the goods purchased. Young shoppers are also increasingly being targeted by sales staff. For many teenagers this is the first credit card they will own. Store cards have exorbitant rates of interest and it’s very easy to build up interest and quickly obtain a negative credit score. It is commonly the case with teenagers that credit card repayments are the last thing on their mind. This can leave them with negative credit scores that will follow them for years. Although store cards will usually have a very high annual percentage rate there are low interest store cards. Certain store cards have interest rates as low as 13%, a significant difference to the 30% APR applied to most store cards. 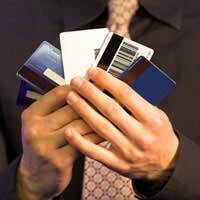 Use a store and credit card comparison site to find the low interest store cards. Don’t be fooled by the high interest cards that offer initial discounts; these will only save money if the card is paid off within the interest free period. Sales staff have admitted that they have been told to push store cards without any mention of the exorbitant interest fees. They are told to push the initial discount but not to mention how much the actual APR is on the store cards. It’s estimated that a third of all store card holders are unaware of how much the interest is on the store cards they have. British store card customers owe £2.2 billion in debt to UK stores and the number of accounts opened in the last five years has doubled. Many credit customers have been claiming back the charges applied to bank loans, overdrafts and credit cards. The same principle can apply to store cards, although many customers are unaware of this fact. But an unfair charge is an unfair charge no matter where the credit comes from. Customers can claim back six years of back charges in England, or five years in Scotland. Successful claims can result in a lot of refunded money in charges and penalties. These are some of the simple facts that customers should be aware of before they consider applying for store cards. These cards do have the highest interest rates and should be avoided if possible. It will be less expensive in the long run to pay for goods either with cash or with low interest credit cards.